Spoiler Alert: It is NOT too late for 2018 to be Your Year! But what did or didn’t happen so far this year cannot be changed. As C.S. Lewis says, “You can’t go back and change the beginning, but you can start where you are and change the ending.” That quote always makes me feel better and reminds me it’s never too late to do the things that need to be done to improve my life or my business. The reason I often ask those questions, and why being honest with yourself about the where you need to go from here is so important, is because I firmly believe that no matter how good you are at your job – you can be the best cupcake baker, graphic designer, yoga teacher, life coach, maker, creator, advisor – YOU NAME IT – if people don’t know you exist and feel like your work is validated by someone other than you – it will be hard for your business to survive, let alone thrive to the point when you feel like you can finally exhale. Holding your business breath is hard, and we all need those business exhales, trust me! Whatever did or didn’t happen is okay because you can change that today, right now, and make this final half of the year one filled with press success, building media relationships, and all the magical things in your business that come with those occurrences. You just have to decide to take the step – and know that I’m going to be with you giving you all the tools, resources, training, and ongoing live support and more to make that happen. I’m guessing you’re here because you want the following things – if I’m right, give me a “HECK YES” from wherever you are sitting reading this right now. Totally fine if you proclaim it in your head, not every coffee shop or co-working space approves of random, gleeful outbursts. WHERE TO BEGIN: You know your business – or you, yourself – could use more visibility and needs to be more known, and you know you need consistent publicity to get there, but you don’t even know where to begin. TIME TO STAND OUT: You want to stand out amongst all the other businesses, products, or experts in your field, and you feel like you’re just lost in the “noise” right now. HOW TO SAY IT: There are magazines, websites, and blogs that you reallllly want to share your work with, but you have no idea how to send them an email that they’ll actually open or respond to. You fear the emails you’re currently sending could be part of the problem. FAREWELL CONFUSION: You’re sick of spending time Googling, wondering, or taking advice from questionable sources – you do not have time to keep searching for answers, you need to take action! SHOW ME THE MONEY: You want to see the SALES that getting publicity can bring in, and you want the freedom (on oh so many levels) that a consistent income from your business will deliver. HOW DO THEY GET THAT: You see other experts, makers, or businesses getting featured, and you know yours deserves it too, and that’s frustrating. You’re done feeling frustrated. I WANT TO EXHALE: You are DONE feeling overwhelmed and anxious when it comes to your PR work, you want to “get it” and use it to grow your business! Do any of these situations or feelings sound familiar? Okay, now that we’ve addressed how you may be feeling – and TRUST me, I’ve been there, and I’ve had hundreds of students who have been there in the past, now let’s shift your mindset, and imagine something that is much closer to happening to you than you may realize. First I want you to close your eyes for a moment – yes EVEN you, and YOU hiding in the back – close your eyes and visualize yourself or your business in your dream media placement. Imagine you have the PR Skills to pitch ANY media outlet you can think of. You see it, you know exactly how to reach out, from email style to execution, and you can confidently take action, all by yourself! Imagine how it will feel to start to get hometown buzz…in your local newspaper, in regional magazines, and TV news. You are now known in your city, and that comes with a lot of perks, including sales and other opportunities! Imagine waking up to website purchases, client bookings, customer inquiries or book sales. People are discovering you while you sleep or do other activities, by reading their favorite websites or magazines, they’re trusting the recommendations, they’re seeking you out, and they’re taking action on what you have to offer! Imagine moving past your fear of the “PR Unknown” and into a place where it’s a streamlined, stress-free, enjoyable, and empowering part of your business! HIGH FIVES! You can get there, you’re in the exactly the right place to make that happen, and there has been no better time than now to take action. You’re here, you’re ready, and I’m going to tell you exactly what you need to do to make that happen! And by pudding, we mean your trained PR “professor”, the value, the experience, the training, and the ongoing spectacular (they really are) results of our students. As some of you know, I’ve been teaching small businesses and experts like yours to get publicity for over a decade! A former educator and curriculum designer turned New York City publicity agency owner turned PR educator, this is my jam. One of my most powerful ways of giving you exactly what you need (from mindset to skills) in order to turn those “imagine this” moments into real life, is my self-paced, “all you need to know in one place”, video PR master course, Press for Success. In it I’ve taken EVERYTHING you need to know about getting publicity for your business – from building relationships with the press (from anywhere at any skill level) to learning over 9 different pitching techniques (and scoring email scripts of all of them) to how to run a stress-free and seamless PR campaign. I’ve broken it into a 7-part video course with smaller, do-able lessons within each chapter that you watch, and then take action on. Each “assignment” at the end of each lesson develops actual publicity tools and skills that you’ll use in real-life. By the end of the course you’ll be clear on publicity – and actually participating in it for your own business! Also exciting? As Masterclass students, they have LIFETIME access to the course, and to our monthly live online support sessions. This isn’t just a “take the course and disappear” situation, it’s a “take the course and be supported every month in real-time, have your questions answered, and get ongoing support”. These support sessions keep them focused, clear, moving forward, and often, accountable. Students Hail from Different Cities, with Different Skill Levels, but their Press Success Binds Them! This course’s students are based everywhere from Brooklyn to Baton Rouge, New Zealand to London, and they come from all types of business backgrounds. Some are starting from scratch, while others have been working on growing their business and their buzz for years. What they have in common is their desire to make publicity success an ongoing part of their business, and their choice to finally let go of feeling that they have to do it all by themselves (if this is you, be honest about how that’s working for you). They were all ready to dive into something proven to give you the answers they’ve been hoping (or Googling) for – they want to do it. How’s the course going for them? Let a few of them tell you! You can read what some of them are saying about our Press for Success PR Prep School education programs HERE, but let me tell you, it’s going beyond well. Those who learn and take action are appearing regularly – we hear success stories weekly – in the local, regional, and national press. From Oprah Magazine to Southern Living, Nylon to New York Magazine, Today Show to Good Morning America, and everything in between. This can be you. It needs to be you. Public relations success isn’t just for other people and businesses, but it IS for people who learn how to do it effectively, efficiently, strategically, and confidently. Press for Success, the Masterclass, will help you do just that. 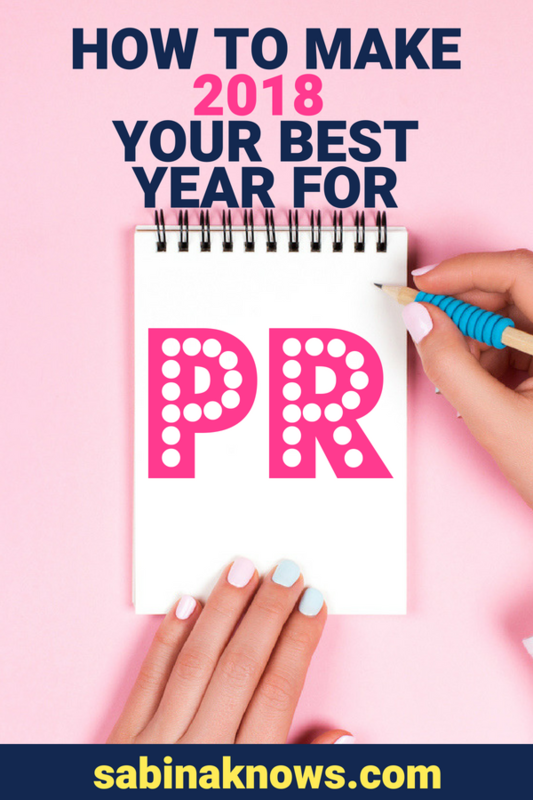 It may be summer (when I’m writing this “PR Love Letter” to you), and for many, that means the year is “almost over”. But in truth, that means you have nearly SIX MONTHS to make an impact that will have you proud and satisfied when the clock strikes midnight on December 31st, and you look back at the changes you made, the chances you took, and the progress and publicity that you were responsible. You continue dreaming about publicity – and even a PR workflow – that feels good and successful, but you’re not sure and your definitely not fully supported to make that happen, which means you’ll keep missing out on opportunities, sales, customers, and media relationships. You let me teach you, step-by-empowering-step, with lessons, tools, email scripts, live support, and encouragement, all proven successful by students around the globe (and used by my own PR agency for years). You show up for yourself and your business, and you see and feel things start to change. This course will get you there, and fast! If you have a business – whether you’re a maker, service provider, expert, coach or author – and you want people to know that you and your work exist, I’m here for you and for that, and the first place to begin making sure that happens is our Press for Success PR Masterclass. Signing up for the course instantly gives you lifetime access to it – and our monthly online support sessions – and the moment you’re in, the confusion, anxiety, or “where do I even begin” will start to subside. I cannot wait to see you make a change and I encourage you to begin making that change today. Sign up for the class here, OR email us should you have any questions about it! You can reach out directly to Anna@PressforSuccess.com OR submit to our contact form on this blog. You’ve worked so hard to build this business, but no matter how good you are at what you do and create, if people don’t know your business exists, it will not survive and thrive! Press for Success, the PR Masterclass, can begin changing that with you, today. Come on in, we’re waiting for you, the world is waiting to discover your business, and I know you’ve been waiting and wanting to see a change. No more waiting, LET’S DO THIS!